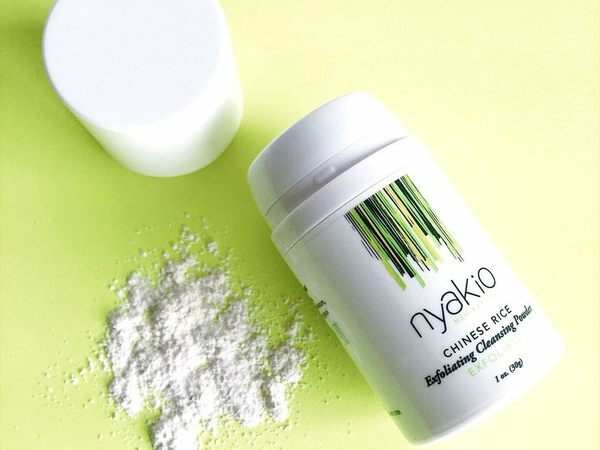 Nyakio Chinese Rice Exfoliating Cleansing Powder - Is an exfoliator that gently polishes away dead skin cells and dullness to reveal fresh, healthy skin. Chinese Rice Powder is coated with a touch of nourishing shea butter and detoxifying African Black Soap to provide soft, smooth, brighter-looking skin. Key Benefits: Gentle exfoliator Reveals smoother, brighter-looking skin Can use with water or add to cleanser (Nyakio Sweet Almond Cleansing Balm) Great for all skin types Contains finely-ground rice powder from China.